Art has the power to bring change, appreciate the good and call out hate crimes. So when Snoop Dogg and The Game got behind leading a peacefully rally called HUNT that stands for Hate Us Not Today, as artists who influence millions of people across the world, they were using their power for a cause that is the need of the hour. This comes as a reaction to two black men being shot and killed by police officers this week, Alton Sterling in Baton Rouge, Louisiana and Philando Castile in Falcon Heights, Minnesota. In response to this incident, five police officers were shot and killed at a rally commemorating those two black men’s lives in Dallas, Texas. To address this never ending chain of killings and life destruction, the two legends Snoop Dogg and The Game led a rally with a group of men to the LAPD office to open a dialogue with the new recruits, the graduating class of 2016. Snoop Dogg in an Instagram video reiterated the importance of opening the channel of communication with the new recruits before they hit the streets so that there is an understanding of the lives of black men who are just like everyone else, so that the officers follow protocol and do their job right. 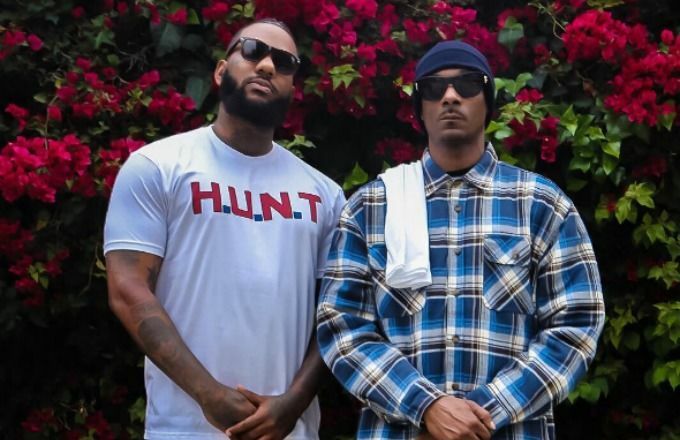 The Game posted an Instagram message urging men of all colour to get behind the rally and march with him and Snoop Dogg, to leave the women and children at home as this was for their protection. He also made sure he reinforced the necessity to leave weapons and illegal substances out of the rally because this was a gathering to bring unity and get rid of fear in people’s minds and their lives.